Which method of editing is the most effective one? Which content formats should be employed, and how many iterations are necessary? Ultimately, what works for the publisher is the best approach, but consider that what is most expedient is often at odds with what is best. Until a generation ago, typewritten manuscripts were edited on paper: Editors would mark changes with a pen or pencil, and writers would type (or hire someone to type) a new version; this process might be repeated at least a couple of times, as the manuscript underwent first developmental (comprehensive thematic and structural) editing and then copyediting (the nuts and bolts of word style and usage and of grammar and syntax, or sentence formation). The last iteration would then be given to a typesetter, who would transcribe the text using a word-processing device, incorporating the last set of penciled-in revisions as he or she went along, and would format it according to its intended mode of presentation. As desktop publishing evolved, this process was streamlined: Editors revised directly in content files using simplified word-processing programs such as Microsoft Word. And because the content was copied and pasted into the proof file, rather than laboriously typed, proofreaders no longer had to compare proofs against the manuscript word for word; they merely examined the proofs for errors, consulting the manuscript only occasionally for clarification if at all. Early on in this new paradigm, the proofreader would mark a printout of the proof, and a member of the publication’s production staff, or a freelance graphic designer or production artist, would enter the changes and then generate a new iteration of the proof, and the proofreader or another person would check corrections. Then, in the last few years, it became easier for proofreaders to revise proofs themselves using programs such as Adobe Acrobat. Ultimately, some publishers have decided to occasionally or routinely forgo the manuscript-editing process (either the copyediting stage alone or both developmental editing and copyediting) and “flow” the writer’s raw (or developmentally edited but not copyedited) manuscript directly into proof, then have it edited when it is already in its formatted form. 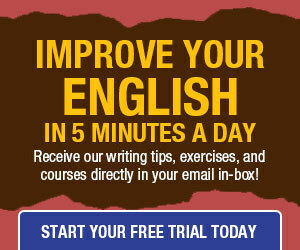 This certainly saves much time and effort, but it also complicates the process, because developmental editors and copy editors must then maintain the parameters of the copyfit—they cannot insert, omit, or relocate content without perhaps significantly altering the layout, which may require more time and effort by design and/or production staff. 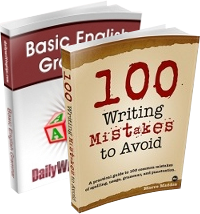 If the editor is given authority to copyfit as needed, he or she can revise the text so that it fits the format, but this may compromise the quality of the content because of the limits of that format. I have edited and proofread content that appears in all these manifestations, starting out by editing my college newspaper using a manual typewriter, Wite-Out, scissors, and red pencils. A few of my contemporaries still prefer to mark up a piece of paper, but I have embraced the expeditious advantages of editing in proof (though for most of my employers and clients, I continue to edit in Word and proof in Acrobat), and I predict that this strategy will soon be the norm. But publishers, from mom-and-pop marketers to multinational corporations, must weigh the benefits and drawbacks and take care not to cut corners by, say, minimizing comprehensive reorganization and revision of a manuscript because it doesn’t adhere to a templated publication format or eliminating copyediting and proofreading because they are costly, time-consuming steps. Too many publications already suffer, sometimes egregiously, from a de-emphasis on (or even outright dismissal of) the editing process, and the art of turning a competent composition into a compelling one must not be suborned to an efficiency that ignores the crucial factor of quality. So, why are there so many typos in these posts? In your last sentence, I believe you mean “subordinated”, not “suborned”. Thanks for the informative article. Secondly, what is your standard for “so many”? From my POV, these posts have amazingly few typos, especially compared to net-posts from big, “professional” news organizations like NBC, CBS, ABC, CNN and FOX.